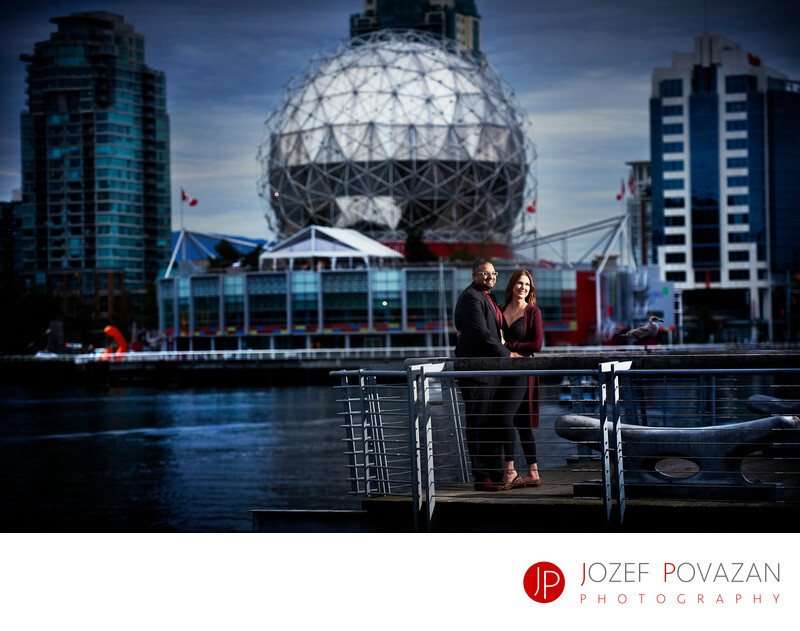 False Creek Science World Engagement Photography - Best Vancouver wedding photographer Jozef Povazan Photography studio. False Creek Science World Engagement Photography created by Jozef Povazan. Modern and creative images for Vancouver lovers of all ages. Fun to be captured. Location: False Creek, Vancouver, BC.